The government has published a summary of its legal position on the draft withdrawal agreement signed with the EU in late November. The 43-page document sets out the government’s legal position on the Brexit deal and is made up of six parts that cover citizens’ rights, the transition period, the financial settlement and a protocol on the border between Northern Ireland and the Republic of Ireland. “This document describes the overall legal effect of the draft Withdrawal Agreement of 25 November 2018 (‘the Agreement’),” the document states, adding that it covers six areas signed by the U.K. and the EU including the protocols on Northern Ireland and Ireland, Gibraltar and the U.K.’s military bases on the island of Cyprus. The legal advice goes on to state that the withdrawal agreement is a treaty and as such is binding on the U.K. and the EU under international law. It will ensure that EU law will not be binding in the U.K. when it leaves the EU. The document also sets out the terms of the transition period in which the U.K will remain a part of the customs union and single market and abide by EU law until December 2020. 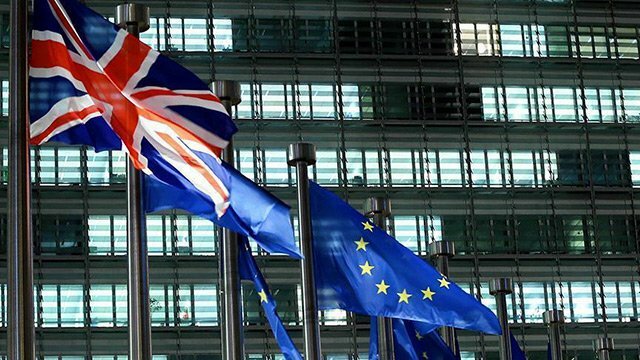 Under the terms of the transition period, the U.K. will not be able to influence or change EU legislation and policies. Importantly, however, the legal advice argues that the U.K. will not be able to end the Irish backstop arrangement, which will keep an open border and frictionless trade on the island of Ireland, after the transition period ends unless the EU agrees to end it as well. The publishing of the document by the government came after the opposition Labour party threatened to hold the government in contempt of parliament after they had previously refused to publish the legal advice. The government was put under further pressure to publish the document after the DUP, the party that props up the government in parliament, joined in with Labour’s threats to hold the government in contempt of parliament. The government’s legal advice has been a source of contention between MPs within the Conservative party, the opposition and those in the DUP due to its position on the Irish ‘backstop’ arrangement in which the U.K. and Northern Ireland will remain a part of the customs union. Under the arrangement, Northern Ireland, unlike the U.K., will remain in the single market to ensure frictionless trade. However, this would mean separate regulations would be enforced between Northern Ireland and the U.K. and that checks on goods entering Northern Ireland from the U.K. would be set in place. The backstop arrangement has come under heavy criticism from many MPs, especially those within the DUP and those supporting a hard Brexit, as they argue that the U.K. and Northern Ireland will have to abide by different regulations that could threaten the integrity of the Union and that the U.K. would not be able to end the arrangement unless it received consent from the EU. May finalized her Brexit withdrawal agreement on Nov. 13 and, although her Cabinet reluctantly have agreed to support it, it has faced mass criticism from within her party and from the opposition Labour Party with two of her cabinet ministers resigning in protest. It is yet to be seen whether May will be able to pass her Brexit deal through parliament as the Democratic Unionist Party, the party that May depends on getting her legislation through parliament, has repeatedly stated that they will vote against her deal as will other parties. On Nov. 25, the remaining 27 EU member states endorsed May’s Brexit deal and have said that this is the only deal that will work for Britain. The Meaningful Vote is said to be the most historic and important vote to take place in parliament since the end of the Second World War and May is expected to suffer a devastating loss.